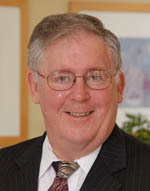 Eugene A. Woltering, MD, FACS, is the James D. Rives Professor of Surgery and Neurosciences. He graduated with honors from Case Western Reserve University in 1971 and from the Ohio State University College of Medicine in 1975. He received his general surgical training at Vanderbilt University in Nashville, Tennessee, and completed Surgical Oncology fellowships at the NIH and The Ohio State University. He has held academic positions at The Ohio State University and the Oregon Health Sciences University, and is currently the Chief of the Sections of Surgical Oncology and Endocrinology at the LSU Health Sciences Center, where he is also Director of Surgical Research. Dr Woltering has written over 100 peer-reviewed manuscripts and filed 16 patents for novel diagnostic and therapeutic cancer-related discoveries. He is a member of a host of national and international professional societies and is the educational coordinator for the newly formed North American Neuroendocrine Tumor Society (NANETS).